57 pounds of agile performance. 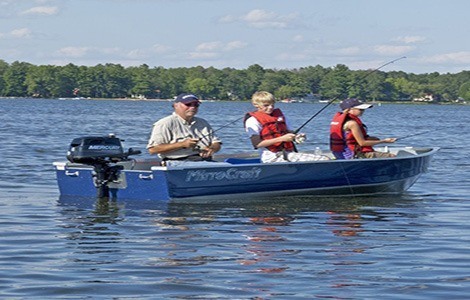 LIGHTWEIGHT - Weighing just 38 and 57 pounds, respectively, our 2.5 - 3.5 hp and 4 - 6 hp FourStroke outboards are easy to lift and carry. 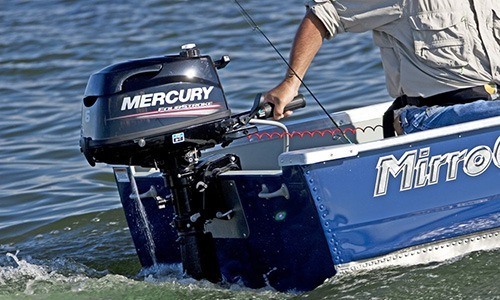 GENERATE POWER - Convenience and performance you can count on. 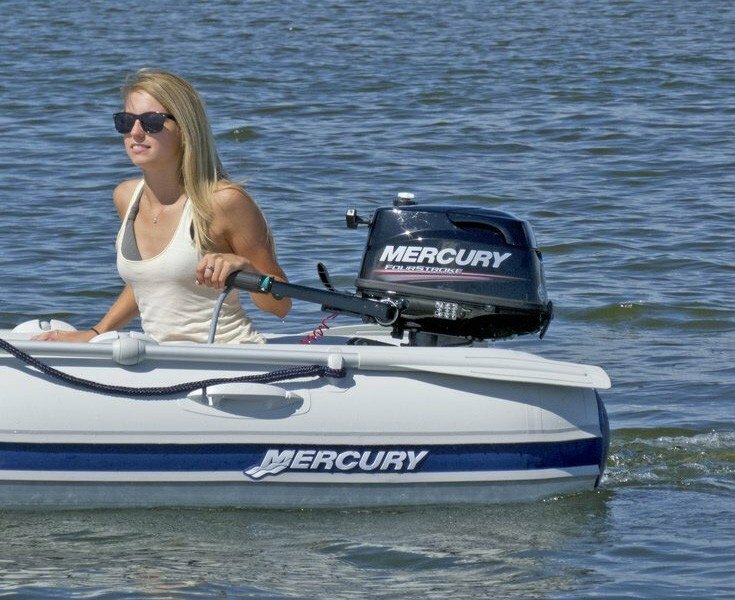 4 amp alternator to charge a battery; exhaust relief holes and 6 inch prop for improved handling when reversing heavy boats; even an added rectifier to power small external lights. 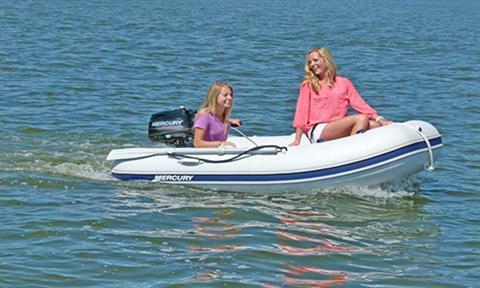 A 5 hp FourStroke that powers your boat. 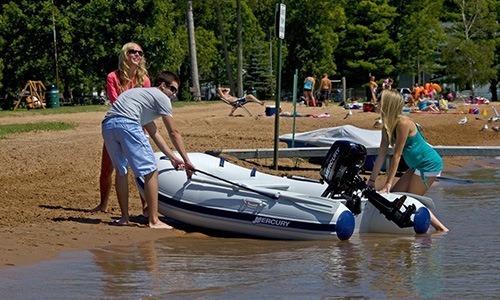 SHALLOW WATER - Multiple trim positions enhance performance and enable shallow-water operation. 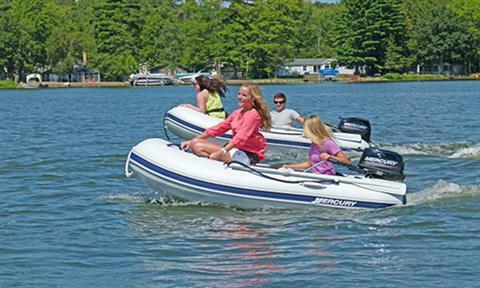 EASY TO START - Automatic decompression bleeds off cylinder pressure to reduce the pulling force required to start the engine. 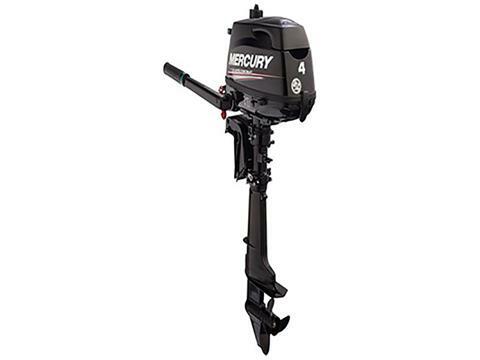 QUIET - Through-prop exhaust on all Mercury® 4 - 6 hp FourStrokes exits underwater for quiet operation. FUELING OPTIONS - Mercury® 4, 5 and 6 hp FourStrokes feature integral fuel tanks with an external fuel-shutoff valve, as well as a fuel-tank cap on top of the cowl. For extended range, these engines also can be connected to a remote fuel tank placed in the boat.